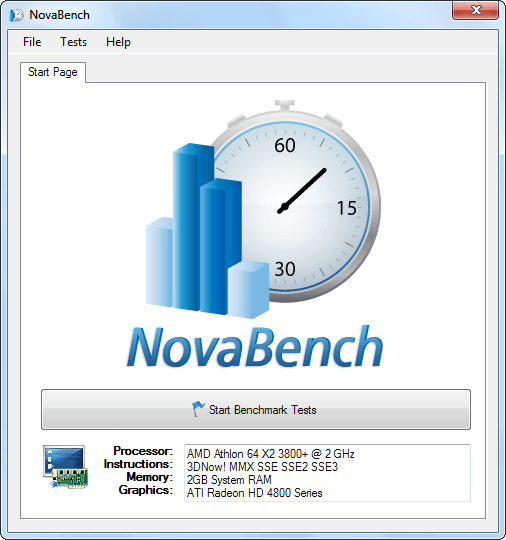 Novabench is my favorite benchmarking tool mainly because of one reason – it’s free. 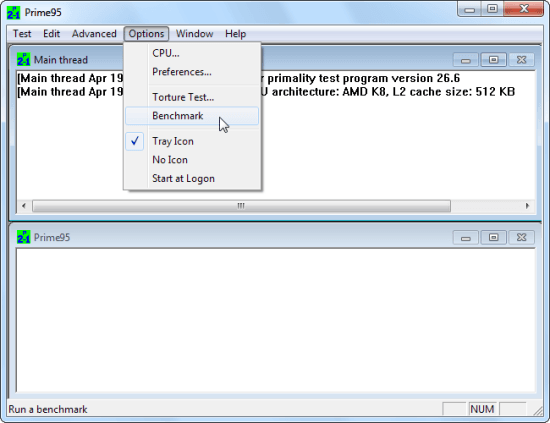 Yep, unlike most other benchmark apps Novabench is fully-functional yet totally free. No trial, no limited functionality. In fact, there’s no paid version of the app. You download it and get the full functionality for free. Another thing that I like about it is speed. 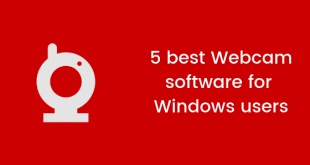 It’s way faster than all other benchmark suites, yet completely reliable in its reports. It shows an overall NovaBench score based on the performance of your computer – the higher, the better. you can also find the individual score for each of your criteria right below the overall score. Another popular benchmarking tool among overclockers is Prime95, though it was not developed for that purpose. 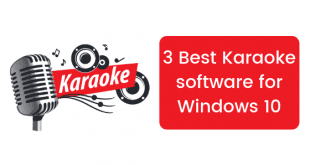 It has got a Torture test mode and a benchmark mode that can be used to test the performance of your Windows 8 PC. Just download the .zip file of software, extract it, execute the .exe file and click ‘Just Stress Testing’ button to get started. Once you do that, a window will pop up before you allowing you to run a Torture test, which is ideal for testing the stability of your computer. Overclockers love this feature, and there’s no reason due to which they should not. However, if you want to perform a benchmark test instead then just hit the Cancel button and select benchmark option from “Options” menu. It shows values in time, which means lower are better. And finally we’ve 3DMark06 to benchmark DirectX 9 hardware. It runs in full-screen mode and has got a user interface similar to the screens of 3D games. It shows separate scores for your CPU and GPU. 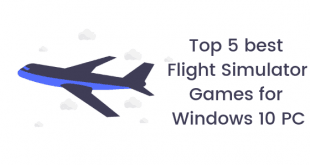 The higher the scores, the better will be gaming performance of your PC. 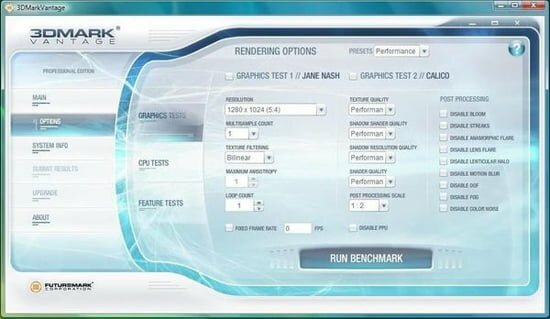 Fututremark, the company that develops 3DMark, develops this benchmarking suite too. As you can guess from the name, this one isn’t solely focused on gaming performance and provides a clear picture of your PC’s overall performance. Like 3DMark it has also got a basic free version and a high-end paid version. Free version of software includes benchmark tests for image manipulation, video playback, storage and web browsing. 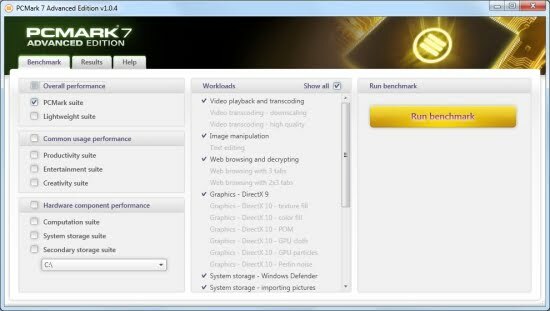 And yes, Futuremark didn’t forget to include a 3D graphics and gaming benchmark in this product too, but it’s not focused on that thing particularly. If 3D gaming is your primary objective then you’ll be better off with 3DMark instead of this thing. 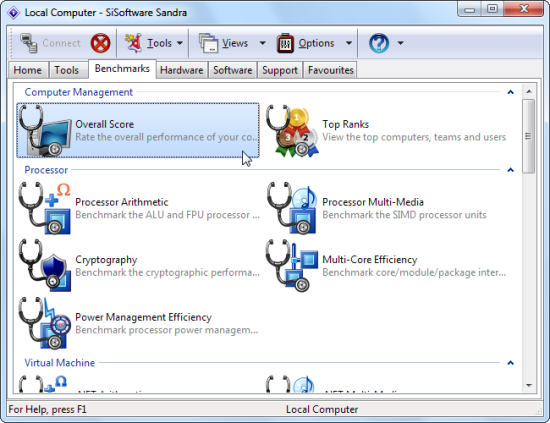 Finally we’ve SiSoftware Sandra, which is much more than a benchmarking tool. It combines several system utilities along with benchmarking tools to create a robust piece of software. Like most other benchmarking tools this one also comes in two versions – one is free, another is paid. But you won’t need the paid version if all you want to do is benchmarking. Free version includes all the essential benchmarks that you may need. The most handy and useful one that you can find under benchmark tab of this software is first benchmark that provides an overall score, but if you wish you can perform individual benchmarks too for everything from networking to virtual machine performance to processor power management.